Partition Web Apps Intelligently: Figure 1: Model-View-Controller (MVC). The Model is unaware of both the View and the Controller. 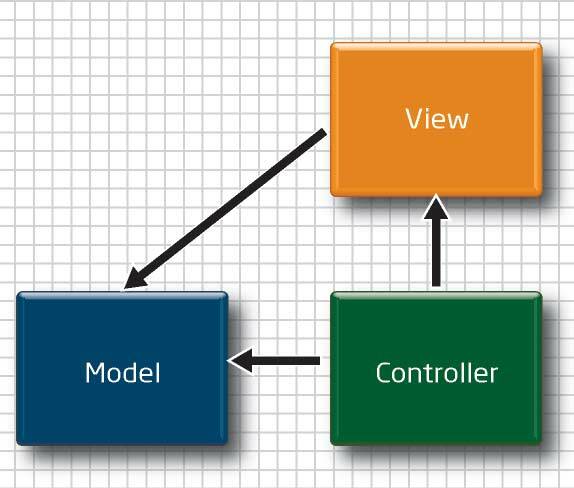 The Controller is the heart of the MVC framework orchestrating the flow. The View is aware of how to present the Model.